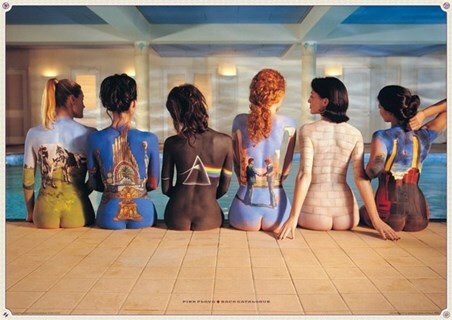 Music Giant Poster: Keep on top of your Pink Floyd passion with this stunning giant poster which features some of the band's most iconic art works imposed onto the backs of six women. 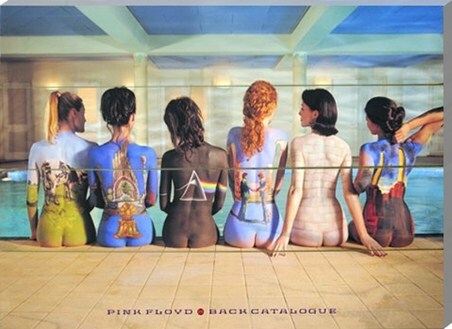 Sitting on the side of an indoor pool, these women display the cover arts of Atom Heart Mother, Relics, The Dark Side of the Moon, Wish You Were Here, The Wall and Animals in bright and bold colours. 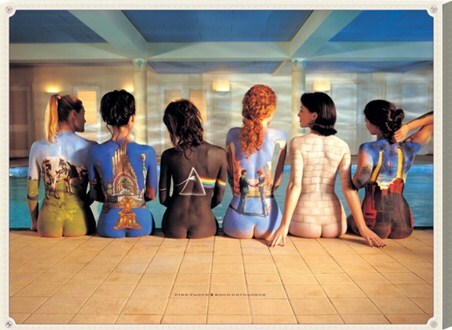 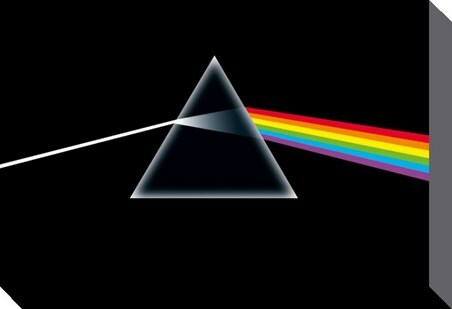 Whether you are a fan of Floyd or you know someone who is, this giant poster is sure to make an impression on your wall.